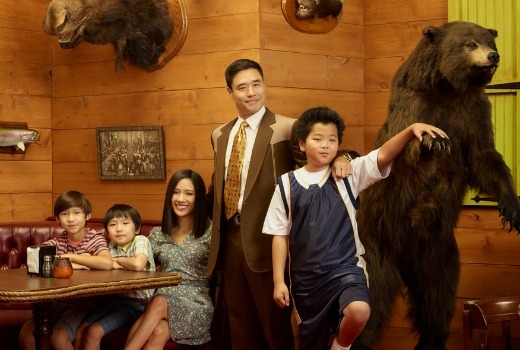 US sitcom Fresh Off The Boat premieres on FOX8 in early May. The series follows a Taiwanese family from Washington, D.C. to Orlando, Florida as they open up a steak restaurant in 1995. It is being described as the first American television sitcom starring an Asian-American family as protagonists to air on network primetime since Margaret Cho’s All American Girl. It premiered in the US to good reviews in February. “Fresh Off The Boat” is based on Eddie Huang‟s memoir; it is set in the 1990s and revolves around a Chinese family that moves to suburban Orlando. It centers on hip-hop loving Eddie, raised by an immigrant father who is obsessed with all things American and an immigrant mother who is often bewildered by white culture. With his father owning and operating an All American Steakhouse chain, this loving family of FOB (“fresh off the boat”) Taiwanese Americans tries to live the American dream while still maintaining their cultural identity and sense of family. Sundays from May 10 at 7.30pm on FOX8. It opened to good reviews for featuring an Asian family. It’s ratings have dropped dramatically since without a lead-in. Seems to be a one idea show that isn’t that funny. Maybe there has been a change, info I received was 7:30. Isn’t it 6.30? that’s what the last ad I saw said. The Game of Thrones thing is on at 7.30.